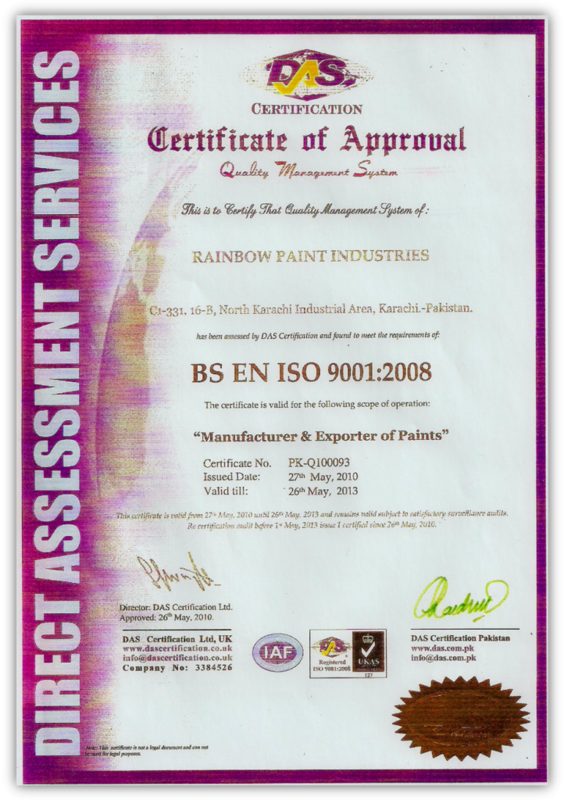 Rainbow Paints is amongst the first paint companies in Pakistan to be awarded ISO 9001:2000 certification in the paint manufacturer and marketing segment. It shows that we are forefront in developing our organizational structure. 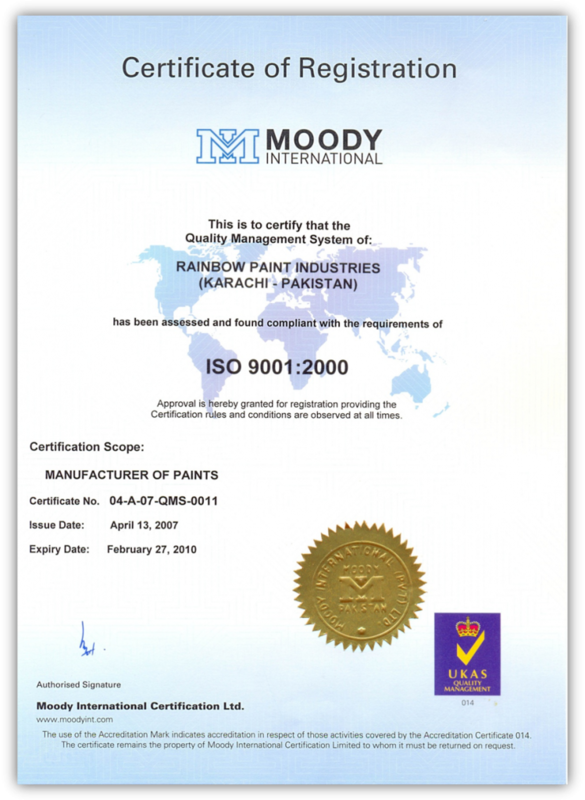 Rainbow Paints has also been awarded the revised ISO 9001:2008 certification in the paint manufacturer, exporter and marketing segment.